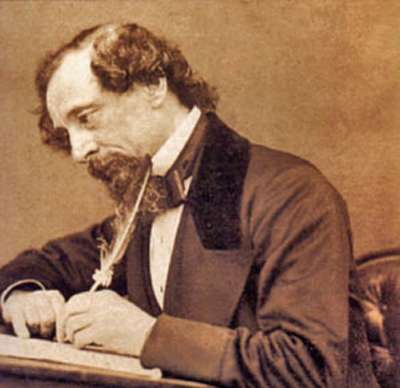 Could Dickens be a role model for the parents of today, or was it that he just had O.C.D.? Ivy Pochoda is the featured reader at our upcoming Vol. 1 Brooklyn Storytelling series. With her new book The Art of Disappearing (St. Martins Press) out tomorrow, which coincidentally is the same day that Dan Brown’s The Lost Symbol hits stands, Ivy says that together, the two of them combined will make publishing history. This points to a good sign for our Thursday reading. If you simply can’t wait for The Lost Symbol by Dan Brown (believe me, I’m sure you can), Slate has “The Interactive Dan Brown Plot Generator“. Literary fantasy baseball? What about football? What about Lynn Swann’s Way? It’s practically fall, but I do gotta admit that Huck Finn at shortstop was a good move. Sure Moby Lives, you go an take the summer off and now you think you can come back and say that Shoplifting From American Apparel is going to “save the book industry“. Okay, so we missed you, and we will let you say whatever you want, just don’t go away again. A.V. Club review the new Pete York/Scarlett Johansson collaboration album, Break Up.